Tata Power has taken all reasonable care in developing the website, and we believe that all information is accurate at the time of publication or last modification. The Company reserves the right to make changes to this site without notice and will not be liable for any damages arising from the use of this site. Nor is it responsible for the content of any other websites linked from here. 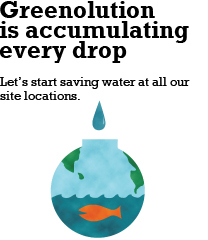 © Greenolution.com. A TATA POWER initiative. All rights reserved.